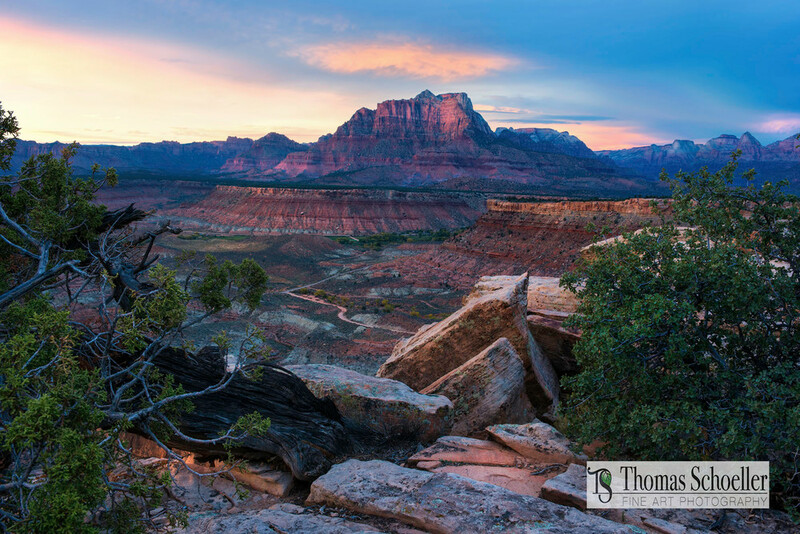 The rugged terrain and difficult access make this a very rare but extremely beautiful place to capture a beautiful grand landscape. Mount Kinesava stands guard of Zion National Parks southwest entry, photographing the scene overlooking the deep canyon from Gooseberry Mesa. The beautiful cherry light cast upon the mountain and mesa lasted but a brief moment, I happened to be in such a perfect place to frame this scene with wonderful foreground elements adding great depth to this Southwestern-themed nature print.